21 years ago there was a really badass concert held in memory of then recently deceased Freddy Mercury of Queen. 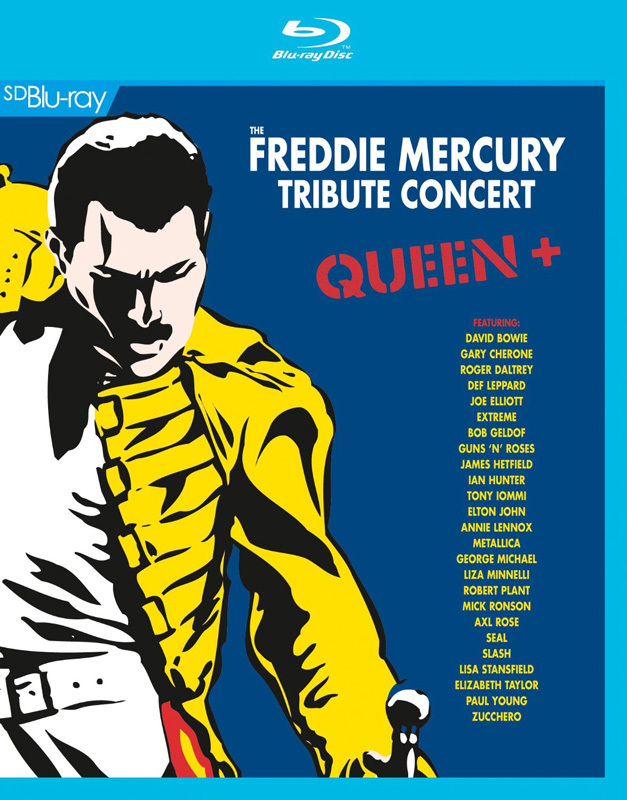 The three surviving members played with a host of other guest stars for a medley of Queen hits over the years. I remember watching this when it was new – and in fact, I still to this day have my original VHS recordings I made off the TV way back then. The reason I’m talking about this is that the concert is going to be released on Blu-Ray this coming September. I first saw the story over on a cool site for releases like this, “Super Deluxe Blu-Ray” (who has a sister site about music box sets, “SuperDeluxeEdition“). Anyway, the SDB story had the cover art, and some minimal details, because as far as I know, there hasn’t been a formal press release for this yet. Anyway, this has been put out on DVD once before, but this is the first appearance on Blu-Ray. Also given the nature of the video source, it can’t be a proper true HD release, but the official Blu-Ray spec says that you can’t just put SD content on a Blu-Ray, so it will be upconverted, but make no mistake, this won’t be a 1080p properly filmed HD masterpiece. It should however, look better than one’s old 21 year old VHS tapes. :) However, the sound will be updated (DTS 5.1 PCM 48k Stereo). This will be a 3 disc set. I’ve also been given the full track list, which shows this is not a complete 100% concert. For years, Robert Plant has blocked the release of the song “Innuendo” that he did at this concert, believing his performance to be sub-par. I do tend to agree with him, while I love the song Innuendo, that performance wasn’t the greatest. Still, a lot of this material will see its first release since the original VHS version of this show many a moon ago. I do not see it available for pre-order in the US yet, but it is available for pre-order in the UK. My biggest memory of the gig was how well George Michael seemed to fit in with the band, his voice has surprising echoes of Mercury’s. Bringing other memories back this Queen stuff. Saw Brian May playing with Sabbath at Hammersmith around 1990 I think, he came out with Iommi and other surprise guest Geezer Butler to sign autographs aftre the show. It was a surreal moment and a happy one too, Murray was out and Geezer was back. Queen were fantastic, one of the best band’s I’ve even seen and it’s a shame what May and Taylor have done to their legacy. Absolutely agree with this one PTC. I remember watching and recording this to VHS too. I no longer know where that tape is. So it is great that it is coming to DVD. Some 13 years ago this was released as a 2 DVD-set. The first DVD contained the main Queen concert and the second DVD had bonus features on it, but no opening acts, so this is definitely better. Only sorry (if I remember the DVD track list correctly) nothing has been added to the main concert. True, I don’t know what the full setlist was. 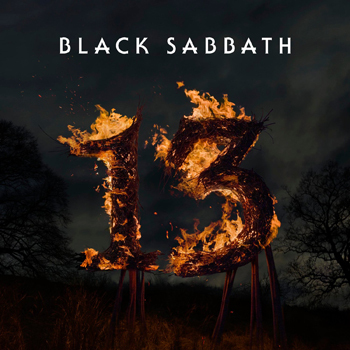 Is this release complete though as far as the Tony Iommi appearances? I remember taping the whole thing on VHS when it happened (MuchMusic in Canda broadcast the entire day) and I recall Iommi being up on stage perhaps more then any other guest musician. I would love to know if it is complete for him (as the rest of the show I wouldn’t care nearly as much about..lol). 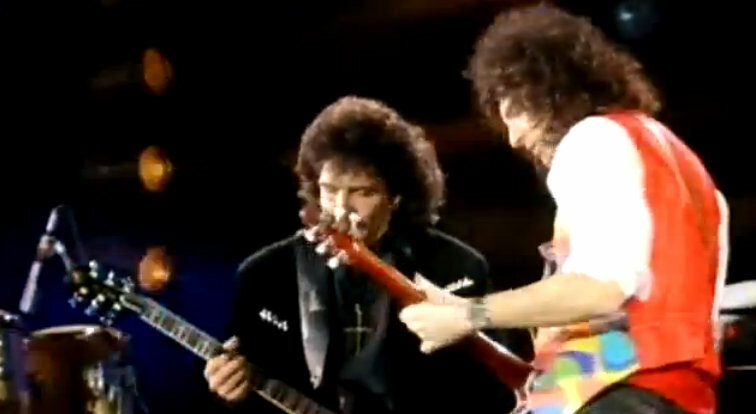 I remember being surprised that Tony was playing with Queen – ’cause stuff like The Show Must Go On didn’t seem like his thing but I guess he wanted to help out his friends which is cool. I’m really surprised that Las Palabras De Amor has been included because it was way out of Zucchero’s range and so it didn’t go well. I don’t think I’m going to buy this ‘cos watching it was a bit sad really though the songs are quite interesting with other singers. I enjoyed watching this show. Two of my favorite bands are Black Sabbath and The Who, so it was cool seeing Iommi and Roger Daltrey performing together. I can’t find my own VHS tapes either to verify, but if I recall, Iommi never got any credit whenever he stepped out onto stage. Everybody else certainly did, and I remember shouting at the screen going, “Oh yeah, Tony Iommi is too *evil* to be warranted any credit”. Whereas Hetfield, Dalltrey, Elton John, and I think maybe even other artists he’s not credited with playing with in the set list above, naturally had their names show up on screen whenever they appeared. 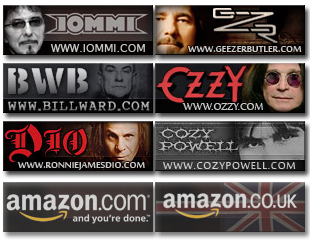 I don’t even think Iommi’s name even appeared in the end credits. But heck, that was 21 years ago, so I’m not 100% certain that I remember that broadcast accurately. I remember watching it as it was broadcast. Robert Plant inserted a verse from Kashmir into his rendition of Innuendo, very suttle and very clever. Making his point as to where Queen got their inspiration for that song from! One of the standout moments was Axl Rose whirling and screaming around the stage as Bohemian Rhapsody exploded and he took over from Elton John on lead vocals – absolutely stunning!! And then there was Tony Iommi; did they play a few bars of Heaven and Hell as he first took to the stage? My favourite part with Tony was Hammer to Fall, just masterful.